With the year coming to a close, Drs. Jennifer and Cory Chambers of Cobblestone Dentistry want to remind patients to take advantage of their Flexible Spending Account (FSA) or Health Saving Account (HSA) before time runs out. Most accounts do not roll over to the next year, so what better time to schedule a dental appointment than the present? In this blog post, our expert dentists in Oklahoma City offer more information on HSA and FSA accounts and the dental treatments they cover. What Are FSA and HSA Accounts? FSAs are accounts that employees can enroll in through their employers in order to set aside pre-tax dollars for certain out-of-pocket health care costs that are not covered by insurance. An HSA is a good option if you have a health insurance policy with a high deductible. Both FSAs and HSAs are tax deductible and can cover co-pays, deductibles and a range of dental treatments that are deemed medically necessary. Cosmetic dental treatments (e.g., teeth whitening and porcelain veneers) are not covered. 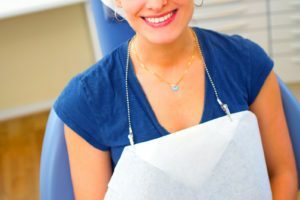 What Dental Treatments Do They Cover? Teeth cleanings to thoroughly clean teeth and gums. The American Dental Association recommends both children and adults schedule a teeth cleaning every six months. X-rays to monitor the health and function of your teeth, gums and jaw. Dental fillings to fill cavities and prevent further damage to your teeth. Dental bridges to fill in gaps left by missing teeth. Dental crowns to strengthen decayed or otherwise damaged teeth. Sealants to prevent cavities and decay. Inlays and outlays to repair decayed teeth. Tooth extractions to remove damaged teeth that cannot be repaired. Root canals to preserve the natural tooth by removing the infected tooth pulp and nerve. Deep gum cleanings to prevent or treat gum disease. Braces to straighten teeth and address other alignment issues. Invisalign may also be used using HSA and FSA dollars. Do you have questions about your benefits? A member of our expert team will gladly meet with you to review your benefits and answer your questions. Contact our dental practice by calling (405) 603-8520 today.